Is Ecuador safe? 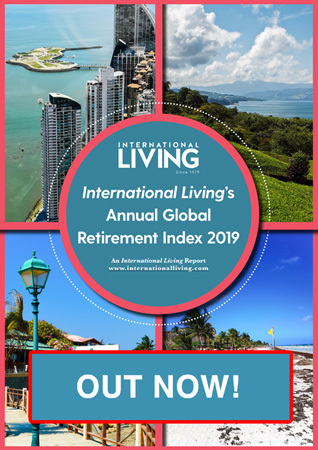 This is a question we get a lot from International Living readers. 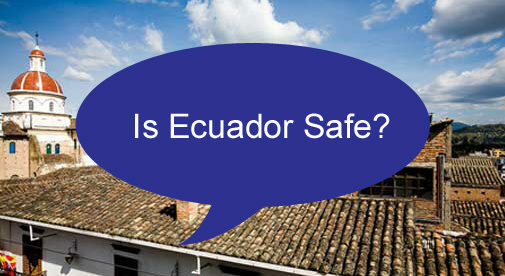 We’ve asked our Ecuador correspondents Donna Stiteler (Cuenca) and Jim Santos (Salinas) to answer some of our readers’ questions regarding safety in Ecuador. My wife and I have lived in Ecuador for almost five years now. We are out walking at least twice a day, we shop at the local mercados, we use taxis and public buses on a regular basis, and we have also rented cars and set out exploring on our own. We have visited villages of a few hundred and major cities of 6 million. Often our trips have taken us to areas with few or no expats. I can honestly report that in all of that time, we have never felt unsafe or threatened in any way. Safety is a relative state of mind, but we actually feel safer—as in less stressed and more relaxed—in Ecuador than we do when visiting the US. It’s very safe, but one place to watch out for is the airport because it’s easy to pick up unattended bags. If you don’t know Spanish, I would get a driver to take you on trips or take an express bus or mini van if you are going within four hours or so of your destination. If you are renting a car, make sure you know some of the rules of the road, and take a Spanish speaking person with you to help navigate or negotiate with the police if you are stopped. Right now, there is a lot of conflict between criminal elements on the northern Ecuador border with Colombia. There are reports of battles between FARQ forces in Colombia and Ecuador police. So for the time being at least, that is a good area to avoid if you are concerned with safety. Like any other place in the world, when you are in a decent size city there are always certain areas that should be avoided. In Quito for instance, we have been told be several people that while a visit to the famous El Panacillo statue in Quito is quite safe, only go there by tour bus or taxi, do not walk through the neighborhood leading up to the site. Other than that, just general safety rules—avoid poorly lit neighborhoods with unpaved street, don’t frequent run down areas, etc. Usually local hotel staff and taxi drivers will be happy to tell you which neighborhoods and sections you should not visit. The main safety tips I have are: if you are out late at night, take a taxi. The police do not go after petty thefts if what is stolen is under $500, so if you lose your smart phone, they aren’t going to look for it. Don’t get in a fight with an Ecuadorian in a bar—as they will have friends that will join in. If you get money at a ATM, make sure you look to see if anyone is around you first. Carry copies only of your cedula around town—they are hard to replace. I have four dogs, including a shepherd—and pretty much no one (even gringos) want to come in my house. Not sure if that’s a tip or a warning.